A safe and comfortable place for baby to sleep is a top priority for every parent; the best baby cribs should be sturdy and, of course, baby-proof. We’ve done the hard work for you with this list of the best baby cribs. Each product was rated with at least 3.5 stars at the moment of writing and sorted in terms of average rating in ascending order. We have included their most important features and a short list of pros and cons for each one. Nevertheless, all of them meet or even exceed all applicable safety ASTM and CPSC standards, making them the safest baby cribs on the market this year. 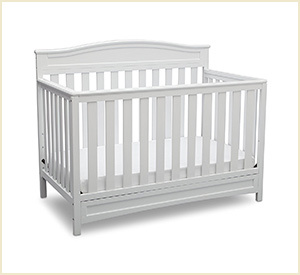 Graco is a trusted brand who over-delivers with their Solano convertible crib. The elegant design of this bed makes it a great addition to any nursery; plus, it also comes in four lovely finishes: espresso, driftwood, white, and whitewash. This baby crib has 4 convertible options and can grow with your baby from infant to toddler. The storage drawer also makes this a practical yet stylish baby bed. Converts to toddler bed, daybed, and full-size bed. Convenient large under-crib storage drawer. Toddler guardrails and full-size bed rails are not included. Parents’ feet may hit drawer when taking the baby in and out. Some customers report missing or defective hardware. Bottom line: Parents who are short on space or love extra storage might find this is one of the best baby cribs for them, but those who want a long-lasting product that can adapt to a growing infant/toddler. It’s helpful to consider the drawer leaving no room for parents’ feet might be an inconvenience to some. Davinci is a front-runner for best baby cribs as they deliver another beautiful crib with a gorgeous curved design. The sturdy construction and versatile options make it a timeless piece for a child’s room. 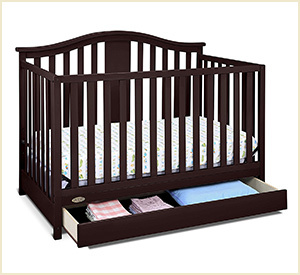 This baby crib comes in 7 finishes: white, cherry, chestnut, ebony, espresso, gray, and honey oak. The mattress height can be adjusted by four levels and can also be adjusted as the baby grows. Made of New Zealand pine wood. Bottom line: This is one of the best baby cribs for parents who want a straight-forward, high-quality crib that will last a long while. 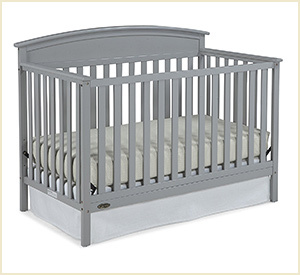 The Graco Benton 5-in-1 Convertible Crib is an elegant and safe bed for baby on our best baby cribs list. With 5 different variations, it is a timeless piece and easily adjusted as your child grows. It can be converted to a toddler bed, daybed, and full-sized bed with a headboard or a footboard. Comes in 5 finishes: pebble gray, driftwood, espresso, white, whitewash. 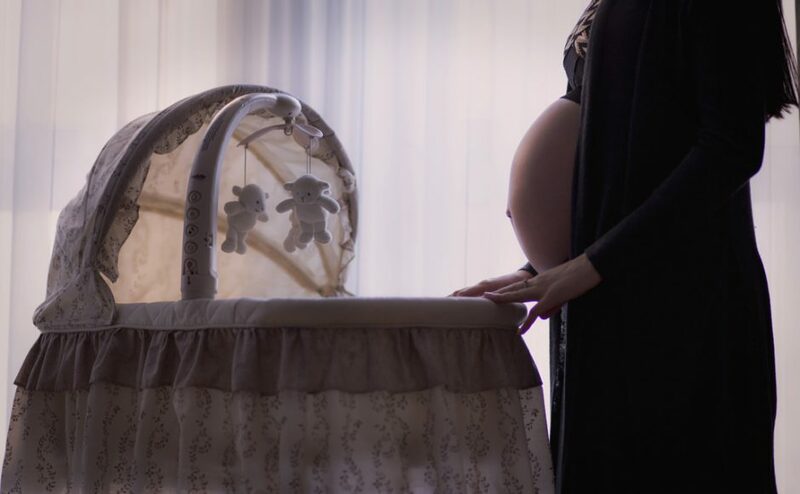 Bottom line: This is an affordable crib that can grow with baby, but considering reviews, it might not hold up as long as promised. The Dream On Me Violet Lifestyle crib converts to 7 different adjustments designed to grow with your child. The whimsical wave design and color options will match any nursery style. It comes with a solid pine wood finish in 6 color options: white, cherry, black, natural, royal blue, and espresso. Converts to toddler bed, daybed, and full-sized bed. Bottom line: For parents who are looking for beautiful design and fun color options, this might be the best baby crib currently on the market. There are some concerns about quality and necessary parts. Another crib by Dream On Me, this is a smaller size and simpler design. However, it still has many of the great features of the Dream On Me Violet crib. It comes with an adjustable mattress support with 3 positions. It comes in 7 finishes: natural, white, french white, cherry, black, espresso, and gray. Converts to day bed and twin size bed. Twin size rail and bed frame not included. Dream On Me does not produce the conversion kit. Only large enough to convert to twin-size bed. 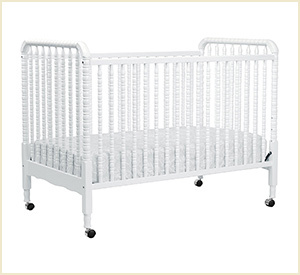 Bottom line: The mini size makes this crib perfect for fitting in the parent’s bedroom or a smaller nursery. The correct size mattress and conversion parts may be harder to find. 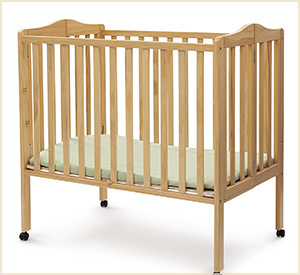 Delta’s mini size crib has a great natural design and awesome features. It’s very lightweight and can be folded up to 6 inches wide in just a few minutes, making it easy to store and transport and store. The construction itself, although lightweight, is very sturdy and the mattress height can be adjusted between two heights. 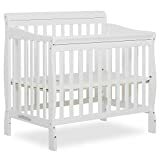 This baby crib comes in 5 finishes: white, natural, gray, dark chocolate, and cherry, and is one of the best portable baby cribs on the market. Folds flat and measures 6” when stored. 1” thick waterproof mattress included. Baby’s limbs can get stuck between slats. Some customers reported missing screw holes or ones that won’t line up properly. Bottom line: With its compact size and portability, this is one of the best baby cribs for parents with smaller spaces, who travel often, or have a second home. However, it’s not designed for long term use. 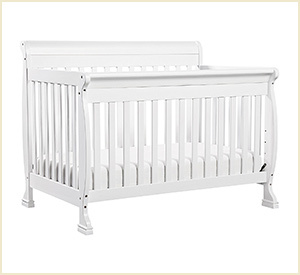 The Davinci Jenny Lind 3-in-1 convertible crib will add a sweet touch of vintage charm to baby’s nursery. One of the best baby cribs from the trusted Davinci company is designed to grow with baby and comes with 4 mattress height adjustments. 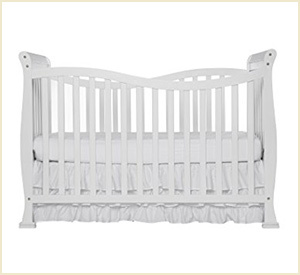 This baby crib comes in 10 finishes: rich cherry, ebony, emerald, fog gray, coral, lagoon, navy, slate, sunshine, and white. Also converts to toddler and daybed. Some customers report it arrived with broken or missing parts. Bottom line: Parents appreciate the company who stands behind their product, solves customer service issues quickly, and adjusts the design according to customer feedback. 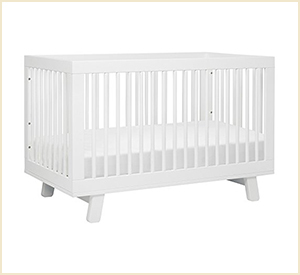 The Storkcraft Rosland 3-in-1 convertible crib has a clean and contemporary design for a modern nursery. 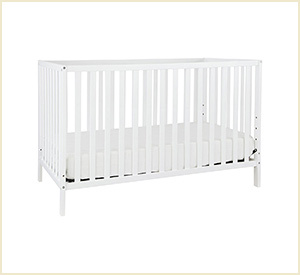 The shorter height overall helps with easy access, making it one of the best baby cribs for shorter parents. The mattress height is adjustable with 3 positions and the crib comes in 5 lovely finishes: sky blue, white, espresso, gray, and pastel pink. Converts to toddler bed (no guard rail needed) and daybed. Can’t convert to twin or full-sized bed. Some customers report broken pieces or screw holes that won’t line up properly. Bottom line: Parents who love fun colors and plan to reuse for multiple children will consider this one of the best baby cribs on the market. However, this crib won’t grow with baby. As most baby cribs don’t come with a mattress, you might also be interested in our collection of the best baby crib mattresses of the year! 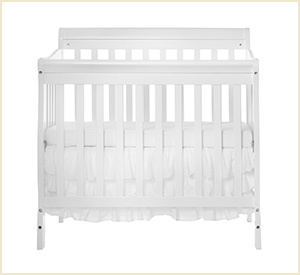 The simple and clean design of the Union crib will fit well in a minimalist or classic nursery. It can easily grow with your child with the fun colors (white, gray, lagoon, sunshine, espresso) and conversion options, making it one of the best convertible cribs on the market. It has 4 mattress height positions that can be easily adjusted by one person. Converts to toddler and day bed. Some customers report it is not very sturdy. Height makes it difficult for short moms. Bottom line: Parents who want a simple crib with clean design will love this crib. It will easily grow with your baby. 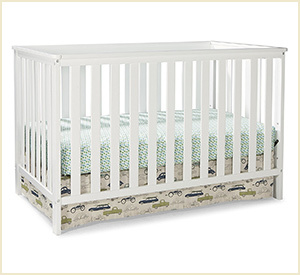 The Delta Children Emery 4-in-1 crib is a classic and durable transitional crib for a baby. 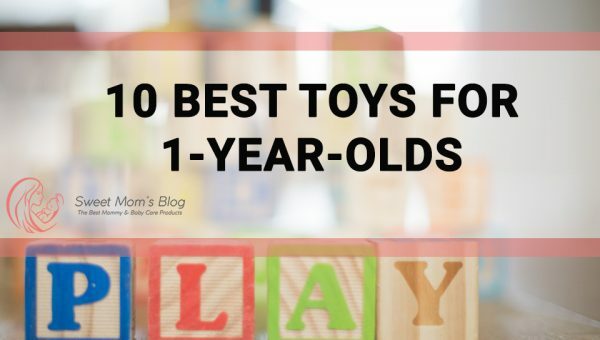 Delta is the largest family-owned baby product company and one of the best crib brands; therefore, it’s a must add to the best baby cribs list. This crib has 3 mattress height adjustments and can convert to a toddler bed, daybed, and full-sized bed. Comes in 2 finishes: white and dark chocolate. 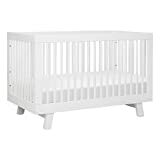 Toddler guard rail and crib conversion rail not included. Some customers report chipping paint. 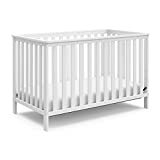 Bottom line: Parents who want a well-tested crib that is built to last, this Delta baby crib is top rated on most online stores. However, it’s worth noting that only the headboard will convert to a full-size bed. This baby crib by Babyletto was the absolute best convertible baby crib on the market at the moment of writing. It comes in 6 color options (espresso, grey, white, grey/white, slate, and washed natural wood. 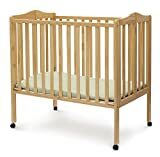 It features a timeless design with a box frame and rounded mid-century spindles which makes it fit for any nursery no matter the design choices. It comes with a toddler bed conversion kit that is easy to install and use. The colors are vibrant and elegant. Comes with a toddler bed conversion kit. Made of sustainable New Zealand pine wood, has a non-toxic finish, and is completely free of lead and phthalates. Some customers reported the pre-drilled holes do not always align properly. Bottom line: This is by far the absolute best baby crib currently on the market. The safe materials, sturdy constuction, and the fact that it includes a toddler bed kit make it a great choice. One of these best baby cribs will give your baby a beautiful and safe place to sleep so you can rest easy too! 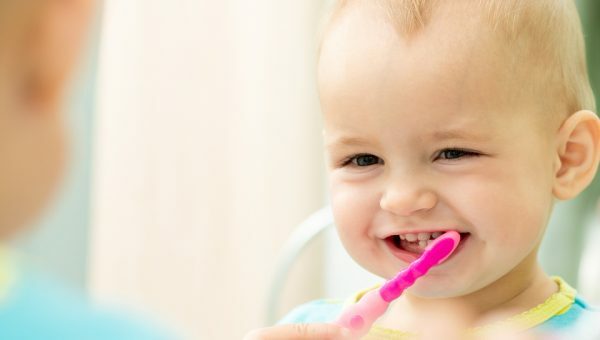 Looking at all the great features will make picking out the right crib fun and easy. What nursery theme are you going for? Which crib fits in perfectly with your dream nursery?